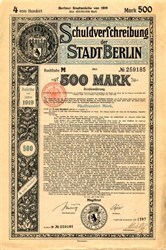 Beautiful certificate from the Schuldverfchreibung der Stadt Berlin 500 Mark issued in 1919. 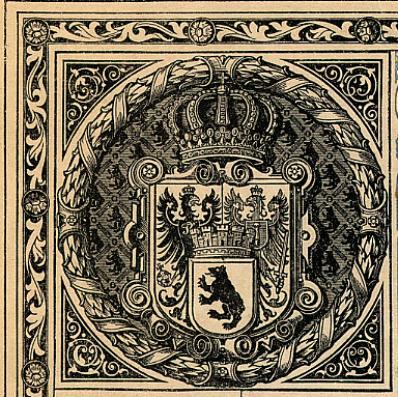 This historic document was printed by Reichsdruckerel and has an ornate border around it with a vignette of the Magistrat Zu Berlin Seal. This item has been hand signed and is over 87 years old. Comes with 15 coupons. 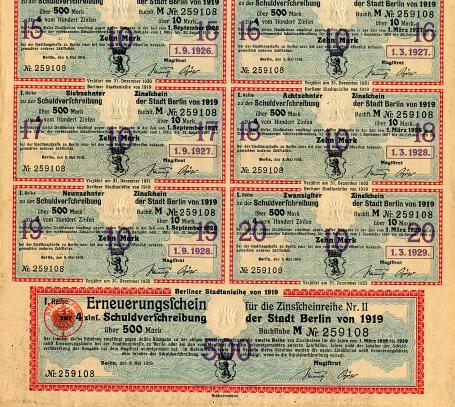 This bond was issued to help pay off the debt from WWI.